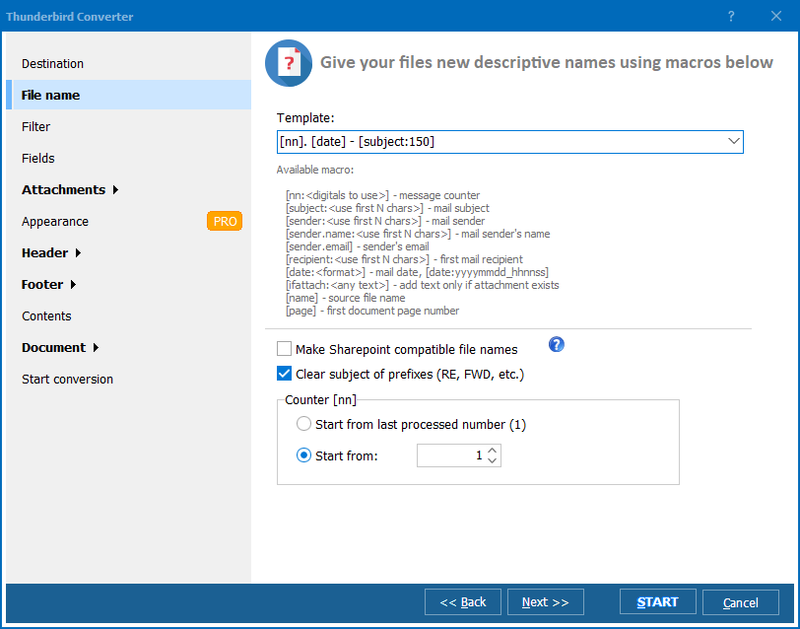 Total Thunderbird Converter processes messages created in Thunderbird and converts them to PDF, DOC, TXT, TIFF, JPEG. It means that you can safely convert your entire correspondence to PDF and keep it on any disk with minimum risk of loss or leak. In order to convert your emails to PDF, you do not need to hand-pick emails or collect them in a certain folder. The program will detect them automatically. 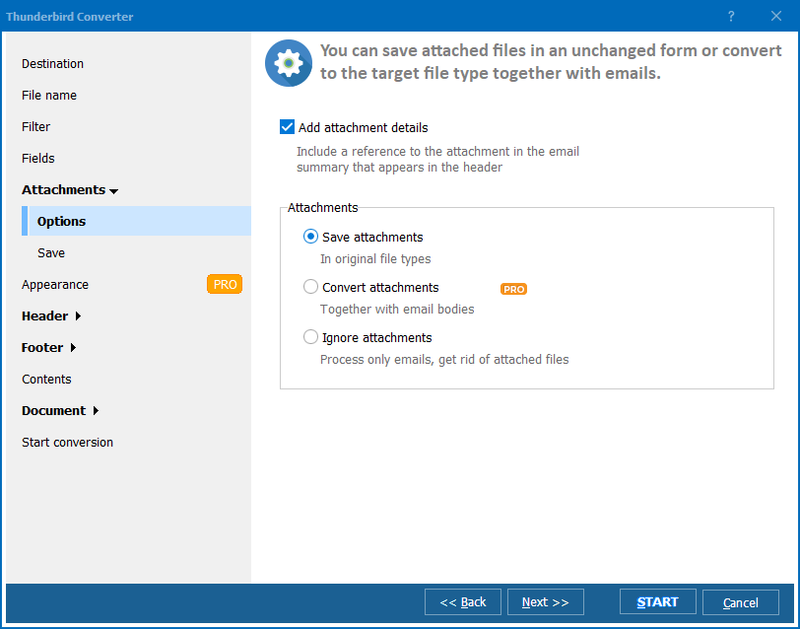 Once you launch the interface, folders with Thunderbird emails will appear in the folder tree. Select the needed directory in the folder tree and check the emails, which you are going to save as PDF files. 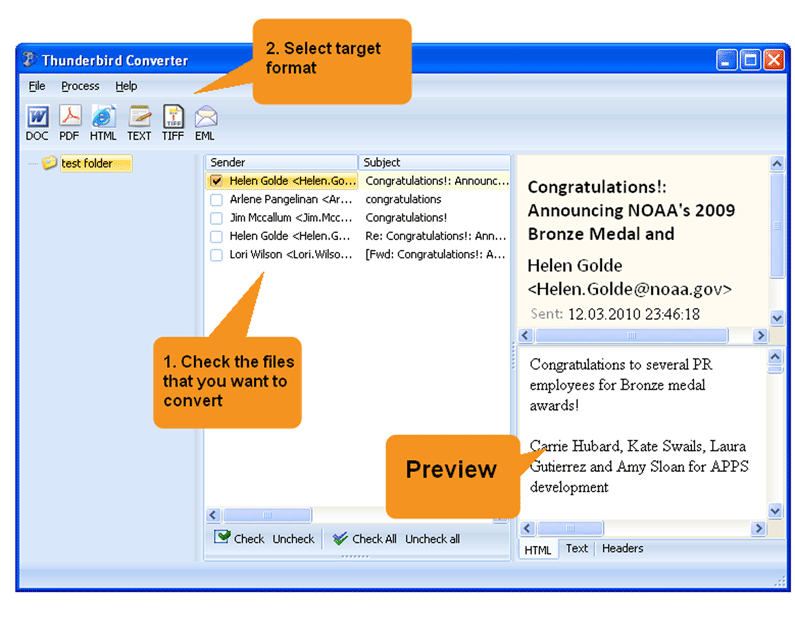 You can check a small number of emails using the mouse or press Check all button and thus set the program to convert all the emails that are located in the chosen folder. You can cancel that by pressing Uncheck all button. Select PDF in the upper left corner and use the wizard. 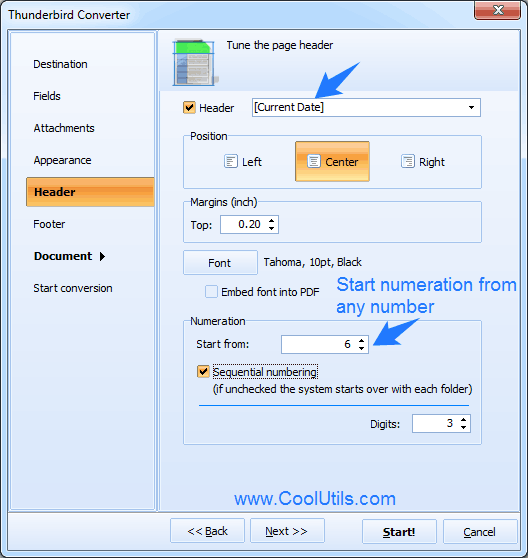 To add dates to your converted emails, you can use header/footer options. Select 'current date' in the drop-down list near the header/footer checkbox and adjust its position. You can add a date to any part of your emails: top right, bottom left, etc. The margins show how much free space there should be between the date stamp and the border of the file. You can also select the color, font and size of the date. By default, Total Thunderbird Converter uses Tahoma, 10pt, black. To launch conversion, press Start. This program features command line, which allows you to operate it from within other apps without using the interface. This option is not priced separately and is included in the pack. Total Thunderbird Converter keeps your correspondence safe and secure. You can download the free trial of this program or purchase it right now via our official website.